Aside from all the upcoming technical gumpf she really is a beautiful looking board. A good friend of mine has one. She's a beauty, and FAST! We're coming up to steal her! Er, btw what are the spec's and what's she designed for? 14 x 26 mate, a custom all-rounder from Maui. 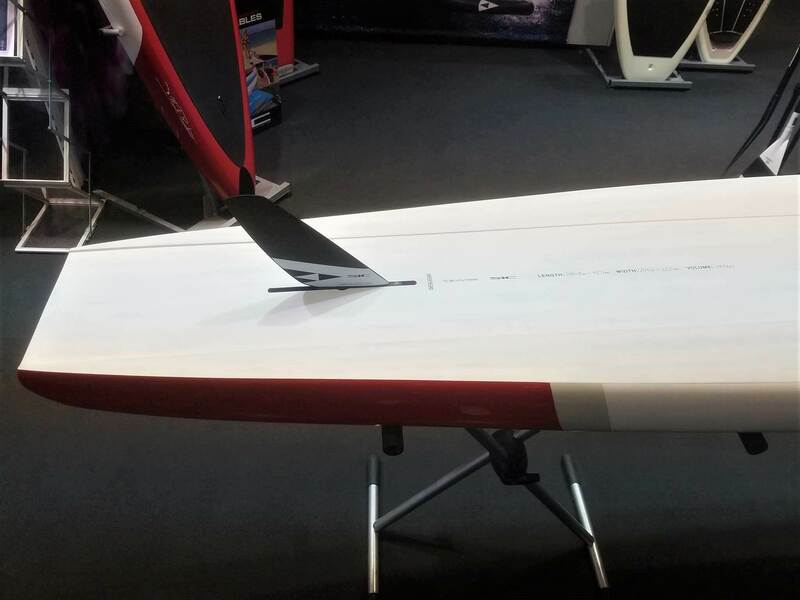 Its going to be their 2018 BOP/ allwater production... an awesome board. Im upgrading the guard dog! That's a lovely looking board. How deep is the standing area recess? I know your not a clog fan mate..... it's about an inch at the front, tapering out to behind feet flush.....very nice and refined as you'd expect. 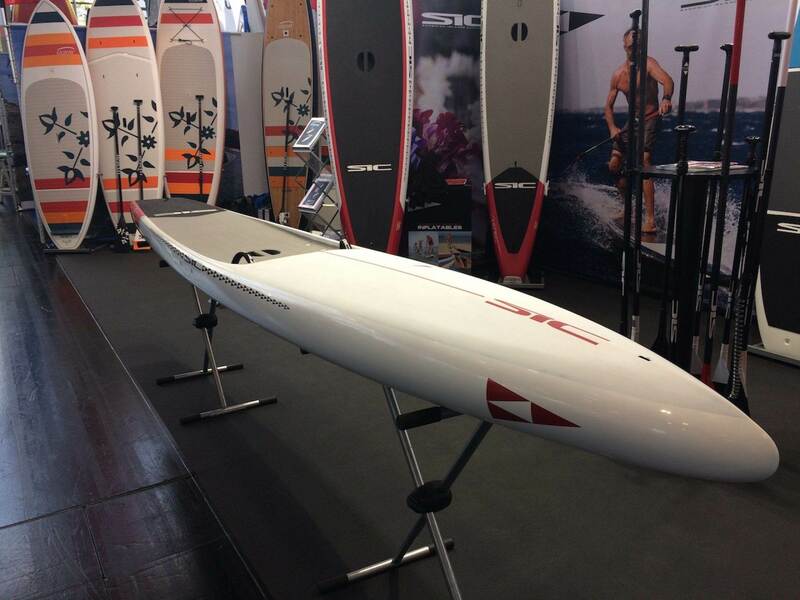 Can you compare its performance to any other all-waters raceboards such as the All Star? your money is already spent she's a great board. I've had a little time to get used to the board, she really is very impressive. Harbour training, back wash, rough water, flat water and all but open ocean. In the rough stuff I am yet to fall and were talking large swells coming through Sydney heads, back wash from the cliffs, side chop (much more refined rails than the FX) the lot. Calmer and flat waters I am keeping up with guys on narrower All Stars who are much lighter than me, so she's fast as well. good showing the new sic boards Supnorte. On a related note I paddled 7 miles on a custom version of the Bayonet (21 lbs), flat water to small wind chop. Really fast considering nose and tail kick and off the wind it flies.... I really loved this board. A friend who has down winded this board commented on wind catching the tall rail and, along with side chop, pitched the board over a little more readily. (it sits pretty high so this isn't surprising) The acceleration on swell was pretty amazing apparently... both he and his wife raved about that. Looks really fast, look forward to trying one. would be nice to test this board. 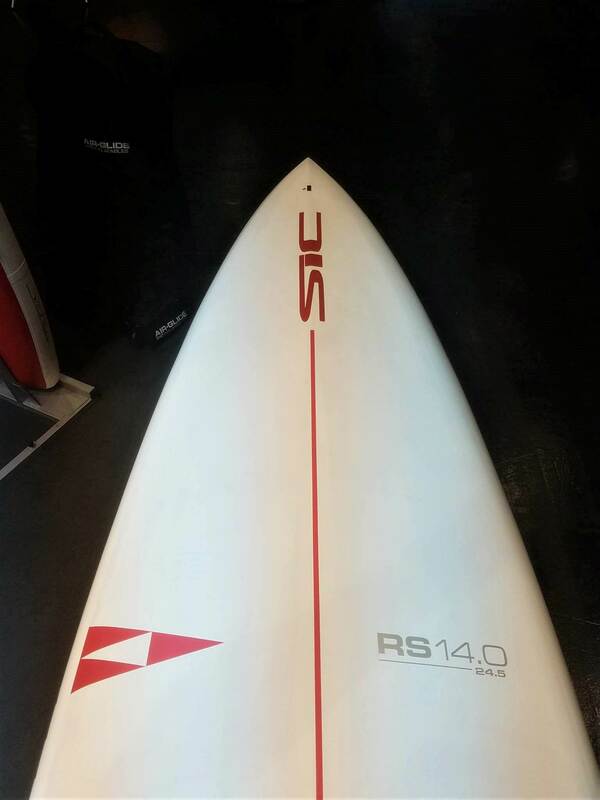 Paddled an RS 14 x 24.5 last week, really outstanding board. It is fast, very stable and excellent in quartering waves. Has enough tuck up front and on rail to roll beautifully in side chop. One thing I loved is how the RS felt springy but not soft. (I'm 185 lbs) Some boards have a noticeable vibration when broaching waves, the RS feels solid but when you paddle hard it has a spring that is unique. Weight is light but not so much where it feels fragile. Downwind I think the RS would be a rocket and therefore only for experienced paddlers who can move back with ease to slow it down. 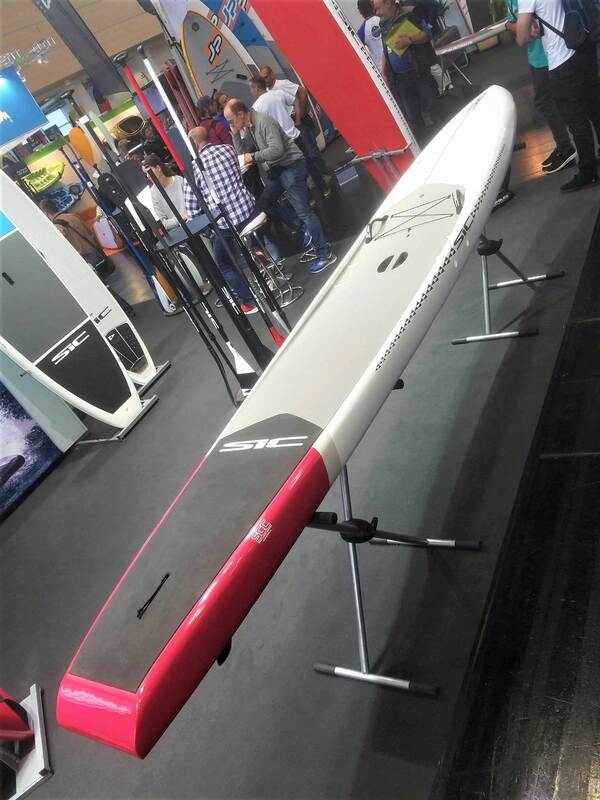 I was looking online but couldn't find any paddler weight recommendations for the SIC RS's. Any thoughts on the 14 x 23? I'm 165-170 lbs. I'm currently using a 2017 Naish Maliko 14x24. I'm happy with the stability of the Naish but downwinding I wish there was a bit more volume. Paddling upwind can also be a challenge. Just thinking whether to go for the 23 or 24.5. For flatwater I should take the 23. Ocean at least the 24.5. 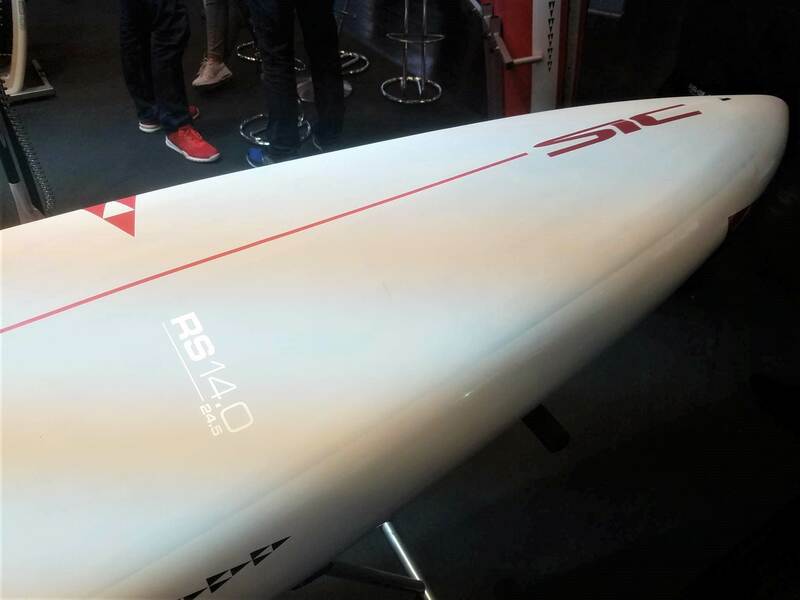 How does the speed of the RS compare to the X series boards in flat water? 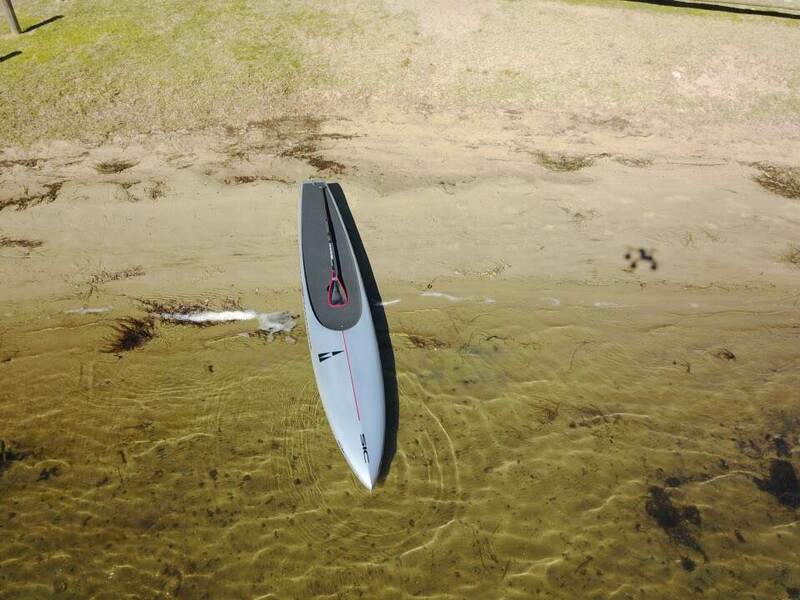 I've tested a few RS today at Lagoa de ?bidos, in Portugal, in perfect flatwater conditions. I've already paddled all X models. I've tried today the 12'6 x 25'', the 14'0 x 24.5'' and 14'0 x 26''. All boards were super stable (the 14'0 x 24'5 was a bit more stable than the 12'6 x 25''). My first impression is that the boards are fast (faster than the X-Pro but I don't know if they were faster than the prolite since I didn't had a GPS watch with me). Comparing to the FX-Pro the boards were hands down much faster than the FX-Pro, and despite having more volume they didn't feel like I was dragging more volume than what I needed (and that was the problem with the FX-Pro on flatwater). The boards glide very well on each stroke and they don't move from rail to rail, so you can keep a higher glide velocity. I did a few sprints on every board and I felt I was sprinting harder and faster than before, with probably my best stroke cadence ever (again, I didn't had a GPS watch to measure the speed, so I only writing what I felt). I did a few videos and I'm gonna edit them soon. The channel under the board is very square and doesn't seem very deep. Most race boards seem to have a concave these days but this is a bit different. What is the purpose? The fin seems a long way forward but it might just be the pics. Thanks very much Supnorte. Look forward to your vids. I'm hoping to be able to test a 14x26 myself before too long. There aren't many demo opportunities in the UK, and the cost of these boards is very high (close to 5000 Australian dollars). So it is important for us to have access to reviews, especially those that compare the boards with others we already know. Incidentally, I was surprised when I visited Melbourne how much cheaper SUPs were there than in the UK. It was surprising because pretty much everything else in Melbourne is so expensive. 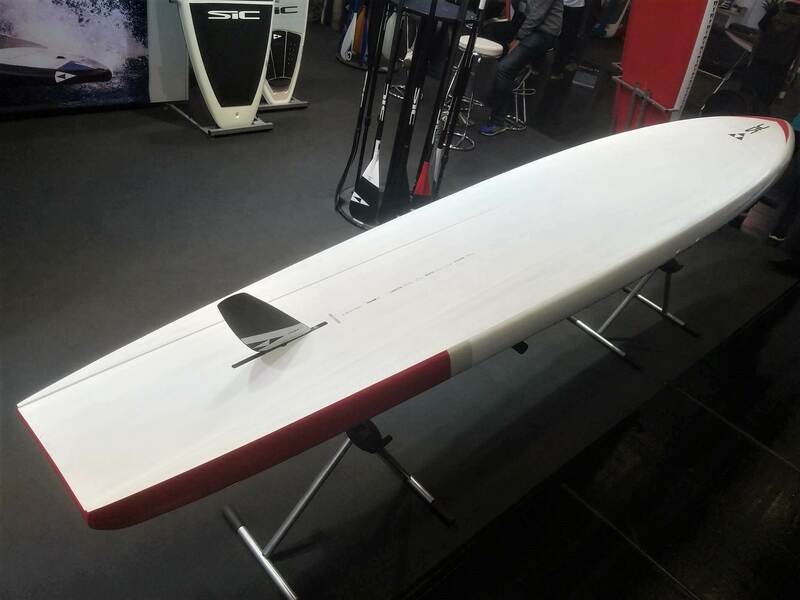 SIC dropped the prices of the boards for 2018, specially on the SCC. A 14'0 was 3300 to 3400 euros last year and this year is 2899 euros, so it's a big difference (thanks to the new BIC deal). With the Brexit and the pound getting cheaper all brands will suffer a bit in the UK, but they will still be cheaper than the previous years. Do you know David Tidball (from SIC UK)? He was here in Porto in the Summer and we did a small DW run (the wind was dropping instead of increasing), I even shoot some photos for an article with him on DW on a British SUP Magazine. Hope David can hook you up some demo opportunities. Yes, I know Tids, and he's been really great. It's marvellous having an enthusiast like him influential on the UK SUP scene. He is based quite a long way away from me though. But I've found a more local demo opportunity and should get to try one this week. It's hard to splash that kind of cash without trying a board first. I'm hoping to try it back to back with the same width Naish Maliko, which should be interesting. I was very impressed by DJ's 2018 Maliko that he kindly let me try. 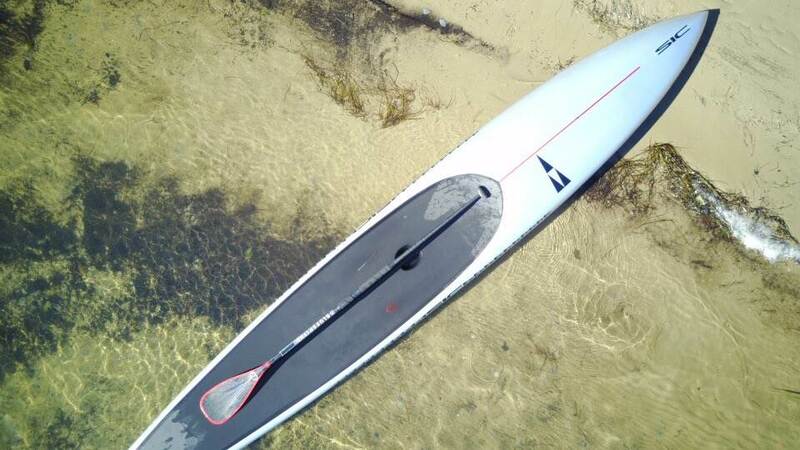 Shame about the criminally crappy handle, but everything else seemed tip-top, and Naish seemed to have managed to create that holy grail of SUP boards: a great all-round performer that is actually really enjoyable to paddle. 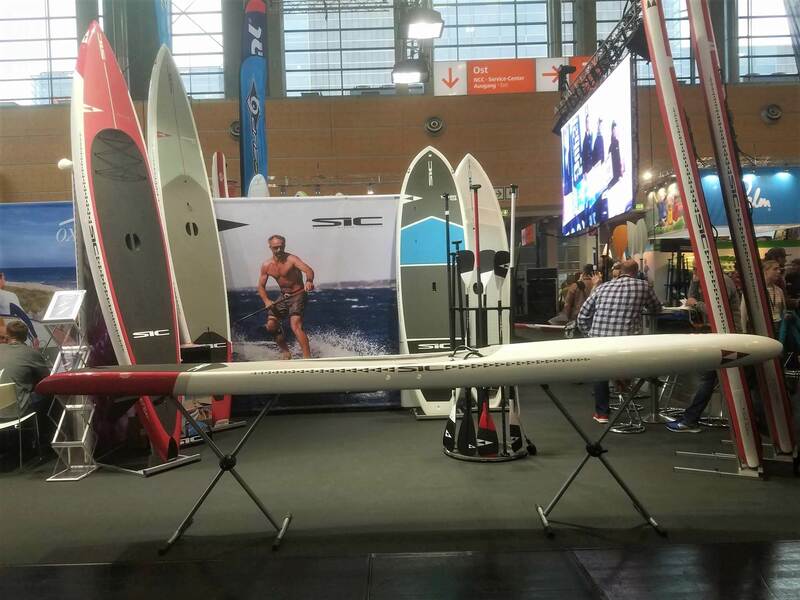 A SUP board is always a serious investment, even an inflatable all-round board. So it's always best if you can try a few boards. On the video, it's my first seconds on the board, it was just begging for a sprint! I live in Porto, and I have one of the best locations in the world to paddle: flatwater (and also river DW) on the Douro River, beach race and race surfing in Matosinhos beach (it's like Dana Point without the pebbles and the small shorebreak) and some serious downwind conditions (I sometimes do a DW run from work at the SUP school in Matosinhos to my house in Miramar, exactly 15 km), so the RS 14'0 x 24.5 (the one I ordered for me) looks like the perfect every day board. I also have a Bullet 17'4 FAST that will only now use with 20 knots plus. With conditions below 20 knots, I think this board will be a lot of fun. 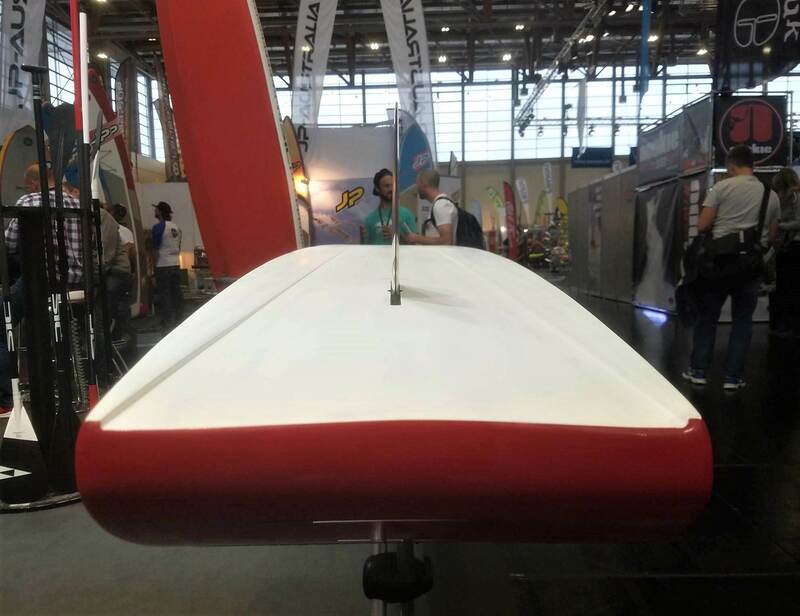 What I'd ideally like to see is a video of the board being paddled vigorously, taken from a side-on viewpoint that shows the waterline of the board, and how the nose and tail are moving through it. I think you can tell a lot about a board just by watching it move through the water. Unfortunately you usually need two people to put together a video like that, so we don't often see that in short amateur videos. 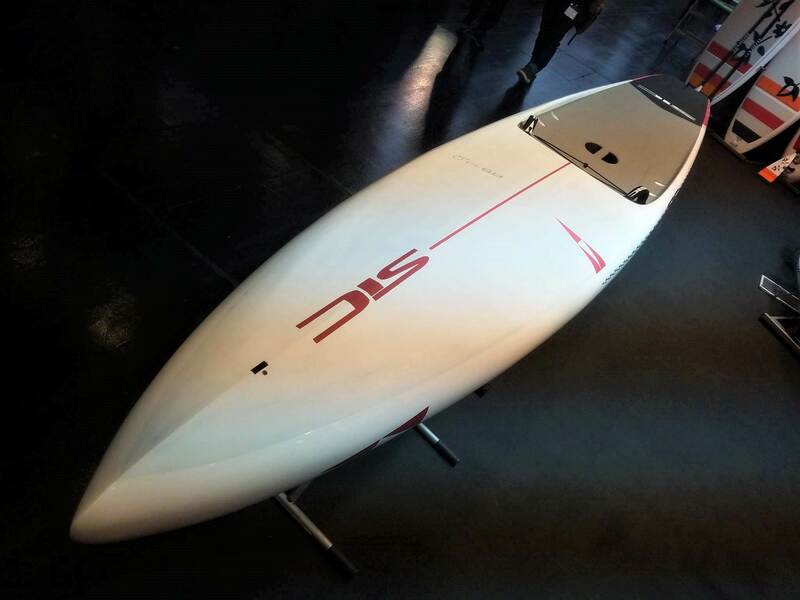 What I'd ideally like to see is a video of the board being paddled vigorously, taken from a side-on viewpoint that shows the waterline of the board, and how the nose and tail are moving through it. I think you can tell a lot about a board just by watching it move through the water. I think I can manage that. I didn't had a lot of time to see and work on the videos from the weekend, but I did filmed different people paddling on the RS 12'6 x 25'', 14'0 x 24.5 and 14'0 x 26''. I'll post them soon, so you can take a look at it. That would be really great, thanks a lot.